Spring is always about a refresh. One way that I've implemented the spring refresh motto into my life this season is with updating my home decor. Back in late February and early March, I added some new colors and accent pillows to my living room -- see them here. In late March, I got rid of our old rug, switched up our ottoman decor and changed up the open space room with the addition of shelves. If you like the seaside floating wall shelf that you see on my wall in the photo above -- which can also be floated vertically and comes in black -- then shop it here! Shelving is a good way to incorporate more decorative pieces into a home by giving them a proper home. No need to have your knick-knacks scattered across your living room. Instead you can get the right shelving to house all your items, like bookends, succulents, vases, candles, frames and more. Here are a few of my favorite home decor shelf ideas that I think you should add to your room this spring! Shop them via the Etsy links below each image. Which of the shelves above is your favorite? 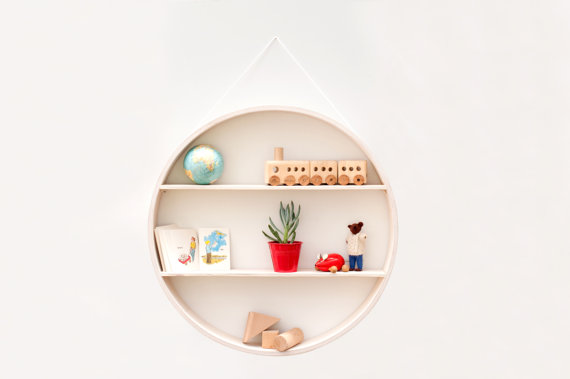 Looove the circular shadow box, such cute and easy home updates. I would love to have the rustic white hexagon in my family room. I love yours with the elephants above. 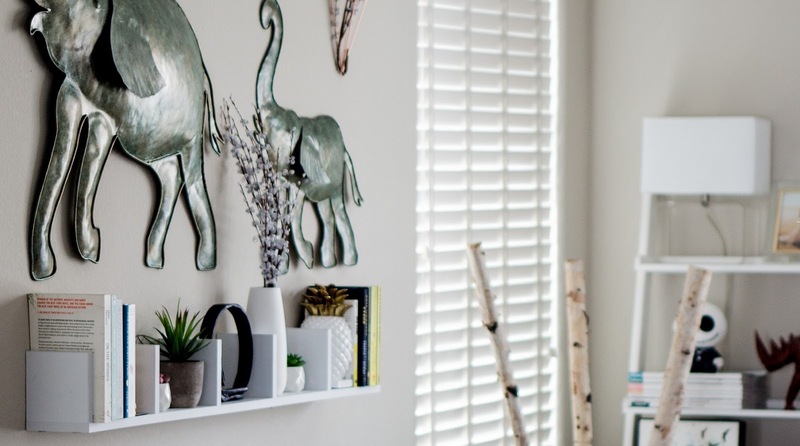 I love those hex shelves- and it's amazing how a little shelf set + some decor items can totally change a room! I am LOVING the circular shadow box shelf, one of my favorites! It's always the best when redecorating/refreshing a room! I really like the shadow box shelf! 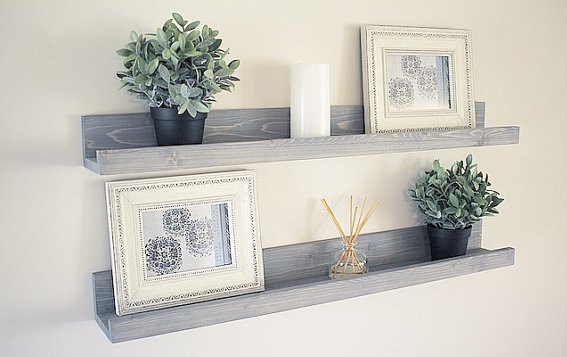 It is slightly different than a floating shelf, which I love! There are so many great spring decor pieces out right now. It makes me want to re-do every room, ha! We are moving into our new house soon. I am constantly looking for inspiration. 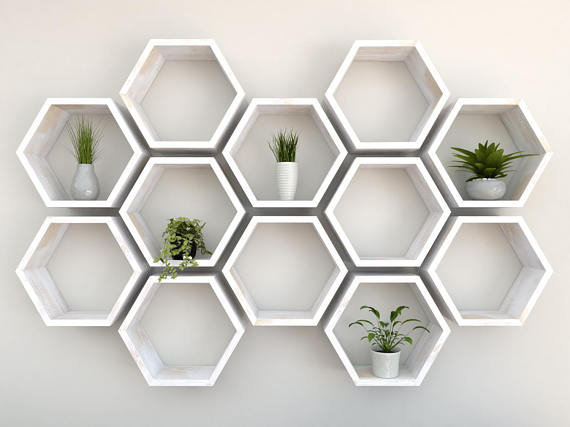 Love the hex shelves and the circular one! Thanks for the inspiration! The round one is sooo cool !! Hexagon shelves are my absolute favorite! I love how many different layouts you can make with them. I also think the rope shelves in your picks are so pretty. Wonderful ideas and shelves! I think I should get more for the living room. 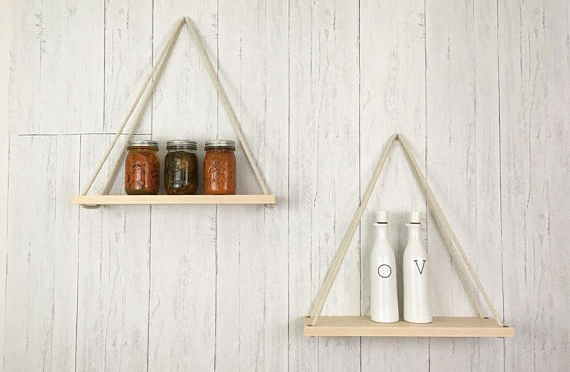 I would LOVE the rustic white hexagon shelves! I love a good Spring refresh as well. This is such great shelfie inspiration. I really like the graphic look of the hexagonal formation. Love this! You just gave me some great ideas on how to decorate my office. i love the hang rope shelving, can we get some? We just installed a shelf in our living room above the couch so we could switch art out at any time! I need some shelving in my life! You have some great and stylish options here. 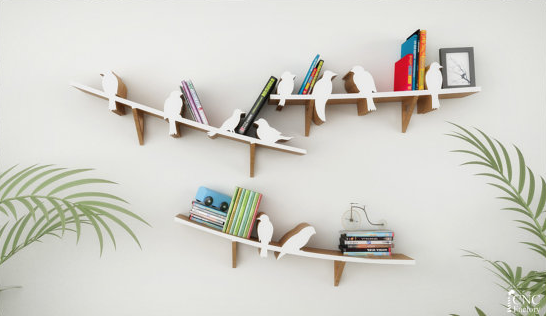 Oh wow those bird on a wire shelves are so pretty! I must get them! Thanks for sharing! I love the shadow box shelves (who knew?) They are such fun shapes! Love the round one! So many fun options! i'll be moving in june and omgosh i'm bookmarking this to come back to! 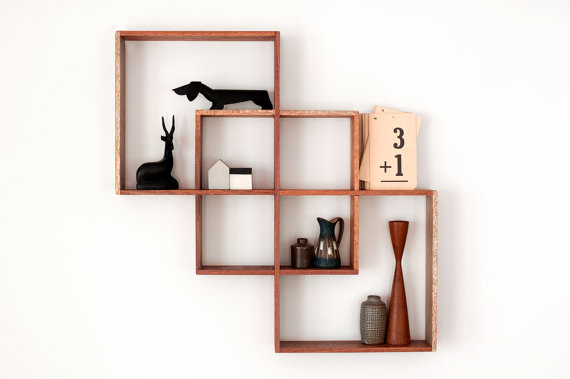 I love the rustic hexagon shelves! Oh these shelves are so cool! Love the ideas.